If you're needing a unique idea to raise money for a purposeful cause, we encourage you to try our candles and melts! They are sure to be a hit for any function such as church fundraisers, schooling events and trips and even for girl and boy scouts! Who doesnt love candles after all? Especially clean-burning all natural candles that come in all your favoirte You can sell our candles to promote virtually any organization! There are fewer ways easier to raise money for notable causes than with a product like ours. 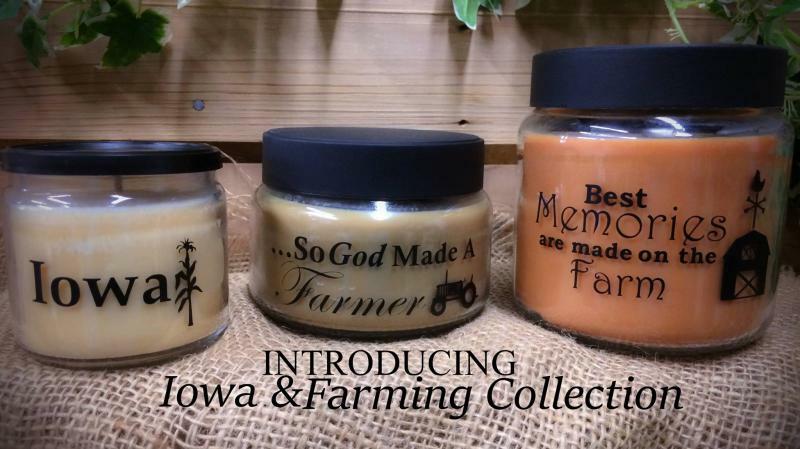 Since our candles not only come in aromatic scents like Earthly Embrace and Fireside but they are natural and locally made by our own Iowa farmers. It can't get any better than that! The possibilities for our candles and melts are truly endless. 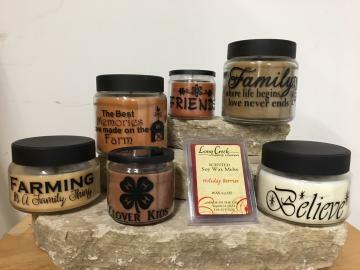 Not only can you sell these gems to raise money for charity functions, school events and corporate causes but you can utilize our all-natural candles on a more personal level---like hosting your own candle party!